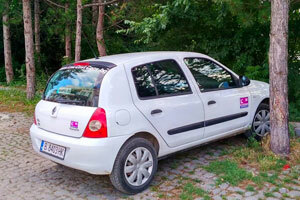 Where can you rent low cost cars in Golden Sands? Golden Sands is one of the biggest resorts in the country and the biggest on the North Sea coast. The resort is situated only a few minutes away from the centre of Varna city and that’s why it has easy and fast access to the resorts nearby. You can choose your rental car directly from Low Cost Cars office which is situated at the main entrance of the resort and can’t be missed. The beaches are very easy accessible by car as well as all the interesting sites in the area. The rented by Low Cost Cars can be picked up directly from our office or by delivery to your hotel or address. During the summer season the demand is very high and that’s why we suggest to make your booking in advance. Booking process on our website is in 3 easy and safe steps. If you need any information or prefer to make the booking by phone you can contact our call centre anytime: + 359 886 00 21 21. Pick up and drop off process will take you up to 15 minutes (depends on the busyness of the office). Low Cost Cars offers affordable car hire services in Golden Sands. If you plan to visit the resort or you are already there do not forget to book a car for your stay. The car will make your holiday more comfortable without the need to wait for buses, expensive taxis and others. Where can you rent low cost car in Golden Sands? 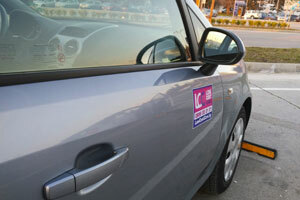 Renting a car in Golden Sands can be easy fast and safe especially if you have booked a car in advance. Advanced booking will guarantee you available car and will save you time and money. Our office is located on the extremely convenient spot – next to the main entrance. Cheap car rental service will be very useful for your trip. If you have chosen Golden Sands for your holiday or you are already there you can easy and fast hire low cost car. We offer direct delivery to your hotel in Golden Sands. Choose your car from huge choice of available low cost vehicles for rent.